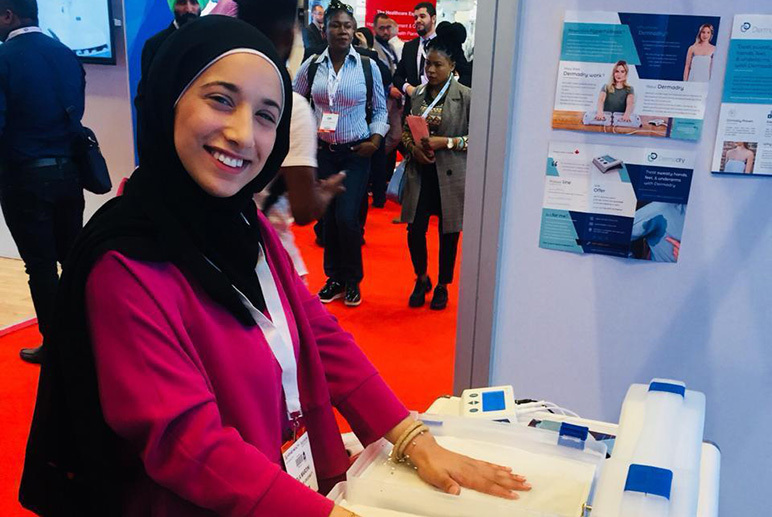 In order to stay at the forefront of the healthcare advancements, RHU biomedical engineering student, Rola Mardini, participated in the 2019 Arab Health Exhibit, the largest medical event taking place at World Trade Center in Dubai and bringing healthcare and trade professionals together from around the globe. Representing RHU, she got introduced to the latest medical innovations from doctors and engineers who visited the exhibit. She also learned about the use of artificial intelligence in the medical field. Accompanying the exhibition is a number of business, leadership, and Continuing Medical Education (CME) conferences and workshops providing the very latest updates and insights into cutting edge procedures, techniques, and skills.